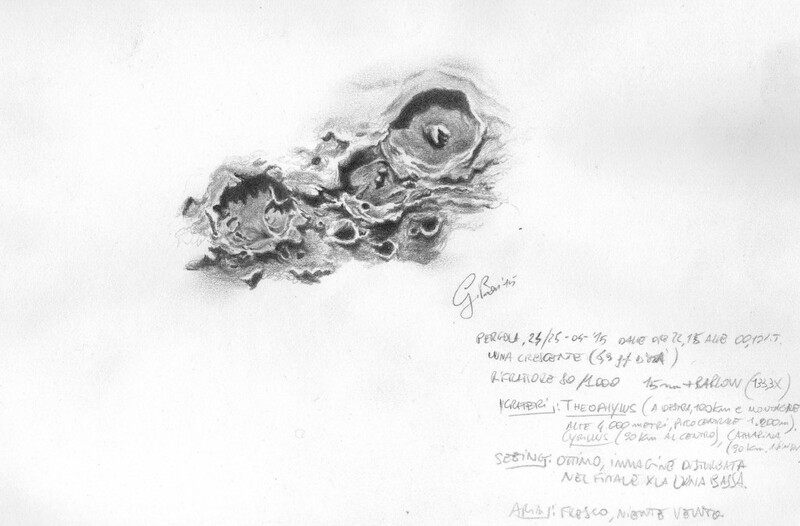 This is a very fine pencilsketch of these lunarcraters! Fine art and beautiful done! A magnificent sketch of Theophilus,Cyrillus and Catharina. This sketch shows great shadows and a wonderful three dimensional effect. Such beautiful work, i too like the depth of the sketch shadows. Sketching from the roof also sounds like a real treat! Thank you at all about your great compliments. All the works in asod are beautyfull. Amazing job with a 80 mm refractor!